Are you ready to join me on my Young Living journey? Essential oils are something that I use everyday in my diffuser, at home and at work. If you don’t already know, essential oils are aromatic, concentrated plant extracts that are carefully obtained through steam distillation, cold pressing, or resin tapping. 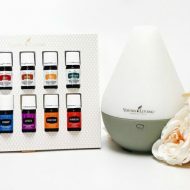 Young Living offer essential oils, blends, and oil-infused products with the optimal levels of specific, naturally occurring essential oil constituents to maximise their potency. Become a member and start your Young Living Essential Oils journey today! Young Living believe that everyone deserves a life of abundance and wellness. As a Young Living member, you’ll find more than essential oils—you’ll find a new lifestyle. There’s potential to earn free products, transform your financial future, and bring life-changing solutions to homes around the world. Chris Naylor, A WordPress.com Website.